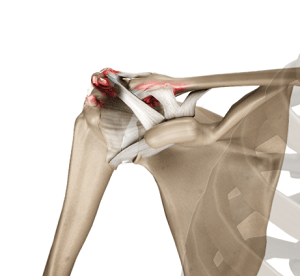 Acromioclavicular Joint OA is a degenerative disease that results in cartilage breakdown and formation of bone spurs within the joint. It may be caused due to genetic factors and overuse. Symptoms include localized pain and tenderness that is exaggerated with overhead activities. Diagnosis may be made by physical examination, injection of a local anesthetic, X-rays, MRI scans, and lab tests. Treatment options include pain medication, activity modification, steroid injections, physical therapy, and acromioclavicular joint surgery.